There are several industry-accepted strategic planning models in common use today. They include Basic, Issue-Based, Goal, Alignment, Scenario, and Organic models. Achievence provides Goal-based planning as it integrates with growth initiatives most effectively. This phase involves efforts to establish the goals and objectives of the project, team membership, and the assignment of basic responsibilities. DELIVERABLES: Selection of planning model, committee assignments, meeting schedule, statement of planning goals and objectives and identification of team leads. This phase focuses on efforts to: 1) identify an institutional purpose (purpose) – (if it does not exist); 2) identify a vision for the institution's future (if it does not exist); 3) identify the core values, institutional values – essential and enduring tenets not to be compromised for financial gain or short-term expediency (if they do not exist); 4) assess the fit between institutional purpose, vision, and values. DELIVERABLES: Purpose Statement, Vision Statement, Core Values. Analysis and reconciliation of congruence across Purpose, Vision and Values. This phase focuses on a review of data concerning conditions and trends in the external environment (factors outside the basic control of the institutional) that could influence the institution and its future. The scan should include: social, demographic, economic, legal/political, environmental, technological, competitive conditions and trends. The scan should also consider conditions and trends at all geographic levels: local, state, regional, national, and global. The factors identified by the external scans need to be assessed in terms of the: 1) probability of the occurrence/continuance; 2) magnitude of their potential impact on the institution; 3) direction of their impact on the institution – positive or negative; 4) impact on stakeholders. At a latter stage these factors are assessed as either institutional threats or opportunities. This phase focuses on a review of data concerning conditions and trends in the internal environment (factors within the control of the institution) that could influence the institution and its future. The scan should include conditions and trends related to stakeholders, resources, capacities, facilities, performance, satisfaction, image, and culture. The factors identified by the internal scans need to be assessed in terms of the: 1) probability of the occurrence/continuance; 2) magnitude of their potential impact on the institution; 3) direction of their impact on the institution – positive or negative; 4) impact on stakeholders; and 5) comparisons to other institutions. At a latter stage these factors are assessed as institutional threats, strengths or challenges. This phase focuses on the use of strategic issues that must be addressed in order to fulfill the organizational purpose and achieve its objectives. During the first step in this phase the results of the external and internal scans are reviewed. Information from the external scan is assessed in terms of the assumptions on which they are based, the potential impact on the institution, and classified as institutional threats or opportunities. The results of the internal scan are also assessed in terms of the assumptions on which they are based, the potential impact on the institution, and classified as institutional strengths or challenges. The second step in this phase involves the identification of strategic issues examined in the scanning process that must be addressed in order to fulfill the organizational purpose and objectives. This phase focuses on the development of detailed action plans for the implementation of the selected strategies. The development of action plans to address major institutional issues and achieve institutional goals will often involve the use of cross-functional teams. Action plans will involve two major components: 1) operational planning; and 2) institutional effectiveness planning. This phase involves the implementation of the various action plans by the appropriate bodies. This phase involves monitoring and evaluating the implementation of the Strategic Plan based on feedback concerning the results of operational and institutional effectiveness efforts. Large accounts require a multitude of a company’s resources in order to establish and maintain a meaningful relationship, even more so when trying to close a piece of business, especially for the first time. Achievence brings the tools, experience, and foresight to our public and private sector clients that align strategic objectives with goals, core competencies and the needs of the client market. Utilizing goals-base planning, Achievence ensures that strategic business decisions are based on quantifiable fact, sound business models, and that results can be measured over the life of the plan. The strategic planning process helps organizations position themselves to intersect their capabilities and position with the needs of their customers and markets. The plan must be visionary, focused, executable and measurable. A successful strategy begins with goals based on thorough analysis of opportunities and internal business requirements. Our strategic planning methodology applies a rigorous analysis and assessment of factors that promote or inhibit success. The internal analysis focuses on the unique competencies, culture, and values of our client while the analysis of external forces assesses existing and anticipated trends. The end product results in tailored mission, vision, and strategy statements that are optimally aligned with the organization and its business opportunities. Strategic plans often fail because action plans are not effectively executed. 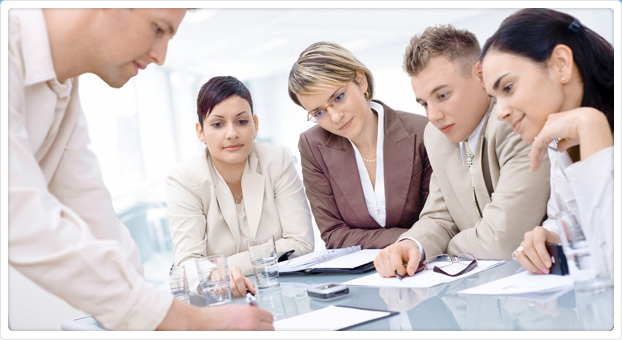 Achievence assists its clients in implementing action plans. The development and monitoring of metrics is critical to successful execution. Achievence develops performance metrics to measure key indicators, organizational skills, and competencies critical to successful business operation. Achievence examines all factors that must be considered and the processes that are required in the design, development, alignment, and implementation of an effective organization. These areas include information and reward systems; management and decision making processes; mission, vision, and values; business strategy; and people. The infrastructure of an organization then becomes a source of competitive advantage. Every organization is different, and requires a customized process that includes both management and employee involvement. We recommend forming a Team that's representative of the organization and works in concert with a Sponsoring individual or group. • Business Strategy--What is the climate in which your organization exists? What is the overall direction of the entire enterprise? • Mission, Purpose, and Values--What is the distinct contribution that your organization makes to the overall success of the business? What are the necessary and specific goals and deliverables for which the organization is responsible? What does the company/organization stand for; how do you want to be known; how do you want employees to work together and treat each other, your customers, other stakeholders? • Structural Design--What are the required specifications or design outcomes? How can work best be divided into clusters of tasks and responsibilities? What is the nature and purpose of relationships and interdependencies within, between, and among various groups or functions? • Alignment of Processes and Systems--Do the current work processes and systems (e.g. decision making, rewards and recognition, information and communication, governance forums, etc.) adequately support the mission, values, strategy, and design outcomes of the redesign process? Achievence works with each client to create an implementation plan. Implementation includes transition planning, communication of the plan, structure and metrics to determine efficacy of the implementation. By creating a metric matrix in advance, clients are able to determine the impact of the new organization model on the business in real time, with the capability to monitor and adjust to environmental issues contemporaneous with need.